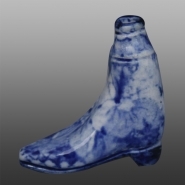 Another view of the perfume bottle. A further view of the bottle. 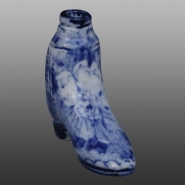 A small earthenware perfume flask in the form of a boot printed with a floral pattern border print.